Dr. Herbstman was one of the first plastic surgeons in the area to offer gummy bear implants for breast augmentation. In his New Jersey practice, he provides these durable, high-strength, form-stable silicone gel implants as an option for women who want a truly custom, natural-looking result. Gummy bear implants can also a good choice for women who are having a breast reconstruction procedure. If your breasts have begun to sag or settle over time, restoring fullness to the upper pole can give you a more youthful, perky aesthetic. Effective enhancement balances this upper pole fullness with a naturally soft and round appearance. Gummy bear implants can provide you with both benefits. The “gummy bear” name describes the consistency of the gel inside of the implant. This consistency tends to be firmer and more cohesive than traditional silicone gel filling. Dr. Herbstman can provide his New Jersey patients with several levels of firmness even within the category of gummy bear implants. The firmest will most readily keep its consistency and upper pole fullness, while the softest will tend to give a more subtle enhancement in the upper breast looking more natural and not so convex or prominent. Since the third generation of silicone breast implants was reapproved by the U.S. Food and Drug Administration in 2006 (for women age 22 and older), manufacturers have continued to refine the technology. With each advance, the silicone filling has increased in safety, reduced complications, and created a feel more similar to natural breast tissue. The outside silicone shell has been made stronger, yet more elastic and pliable. Gummy bear breast implants are the fifth generation of silicone implants. They first began receiving approval in 2012 with Allergan’s Natrelle® 410 and Mentor’s Contour Profile® gel implants following in 2013. Recent advances in the Allergan line include NATRELLE INSPIRA®, which comes in several different levels of cohesiveness. These products provide natural softness while still keeping their shape within the breast pocket. The advanced silicone filling does not leak, even when cut or torn, and holds its shape when upright or tilted. The round form adds lasting fullness to the upper pole of the breast. The smoothness of the implant helps the breast maintain a natural appearance even if the implant rotates within the breast pocket. The firmer gummy bear gel is more capable of retaining its shape. The amount of filling in cubic centimeters (cc) will affect how large your breasts will be. Profile. Also called the projection. This dimension specifies how far the implant sticks out from the chest wall. Profiles range from very low to very high, and the profile choice allows each patient to determine the individual “look” they desire. Base shape. This option enables the implant to integrate naturally with each patient’s chest width. The shape of the base may either be round or oval. When you come in for your consultation at our New Jersey offices, Dr. Herbstman will encourage you to discuss your aesthetic goals and how you would like to look after your procedure. He can also show you the different styles of breast implants and let you feel samples so that you can get an idea of which you might prefer. The number of choices when it comes to breast implants may seem overwhelming. 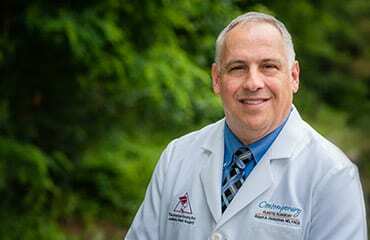 Dr. Herbstman makes a point to educate each of his New Jersey patients and ensure that she is confident with her final decision. In addition to offering form-stable gummy bear implants, Dr. Herbstman continues to offer cohesive silicone gel implants from the Mentor MemoryGel and Allergan Natrelle families, as well as saline-filled breast implants. Natural appearance and feel. Gummy bear implants look and feel more like your own breast tissue. They will not slosh, ripple, or wrinkle beneath your skin as you move, creating a more aesthetically appealing outcome. Leak prevention. 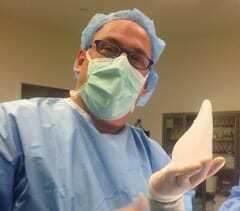 The gummy bear implants that Dr. Herbstman uses with his New Jersey patients are designed not to leak their filling even if the shell is damaged. In part, this has to do with the firmness and cohesiveness of the gel, which tends to keep the material together and in one place. Consistent shape. These implants maintain their form when tilted forward, backward, or sideways. Because of their construction, they also provide a more natural shape to New Jersey patients who have breast reconstruction. Collaboration, education, and caring define Dr. Herbstman’s approach to care. During your consultation, he will act as a guide and expert, advising you on the options available to you and recommending the features of your implants that he believes will provide the best outcome. This guidance will be based on your discussions of the goals you want to achieve, the changes you would like to see, and your personal aesthetic preferences. Who is the ideal candidate for gummy bear implants? Because the safety and effectiveness of gummy bear implants is well established, almost all patients are “ideal candidates” for this type of implant. Specifically, women with no major health issues who desire larger breasts that still look and feel natural. 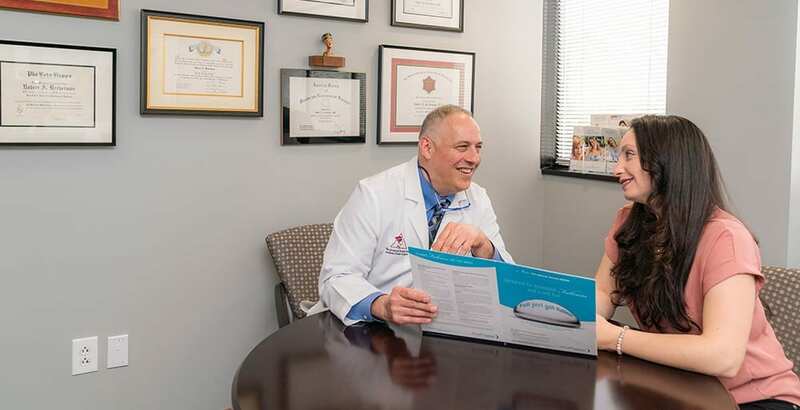 During your consultation at our New Jersey offices, Dr. Herbstman will more thoroughly explain your options and helps you choose implants that are right for you. Are there any safety benefits with gummy bear implants? Some research has shown that in addition to the benefits listed above, gummy bear implants have the advantage of lowering the risk of capsular contracture. This complication occurs when scar tissue overdevelops around a breast implant and constricts it, distorting the appearance and sometimes causing discomfort. Although our careful and precise surgical techniques mean that we have an extremely low risk of this complication, we are also happy to offer our New Jersey patients options such as gummy bear implants to reduce risk further. Your safety and peace of mind are our top priorities. How long will gummy bear implants last? Durable and attractive, gummy bear implants can look and function at their peak for 15 years or longer. However, breast implants may not last a lifetime, and they may need to be removed or replaced at some point. There is no specific timeframe for this, as all current implant styles are very durable devices. Typically, if there is a change in shape or feel of the breast, then further evaluation may be helpful to determine the status of the implants. MRI scans are recommended to determine if an implant has weakened before deciding if additional surgery is necessary. How much do gummy bear implants cost? Silicone gummy bear implants cost more than saline implants and sometimes slightly more than other silicone implants, but because of their advanced durability and low risk of complications, they are often a very cost-effective choice in the long run. Pricing is different for each patient based on the specifics of her surgery. We are happy to provide you with a customized quote as well as to discuss financing during your consultation. See how advances like gummy bear implants can support your aesthetic goals. Dr. Herbstman takes a personal approach to each patient’s care. See the difference when you visit his practice in East Brunswick and Red Bank. To get started, request a consultation online or call us at (732) 254-1919 to schedule your breast augmentation appointment at one of our offices.